Silnote Audio's suave CEO and chief designer was sporting a hip new haircut, an even hipper assistant, once again hit pay dirt. 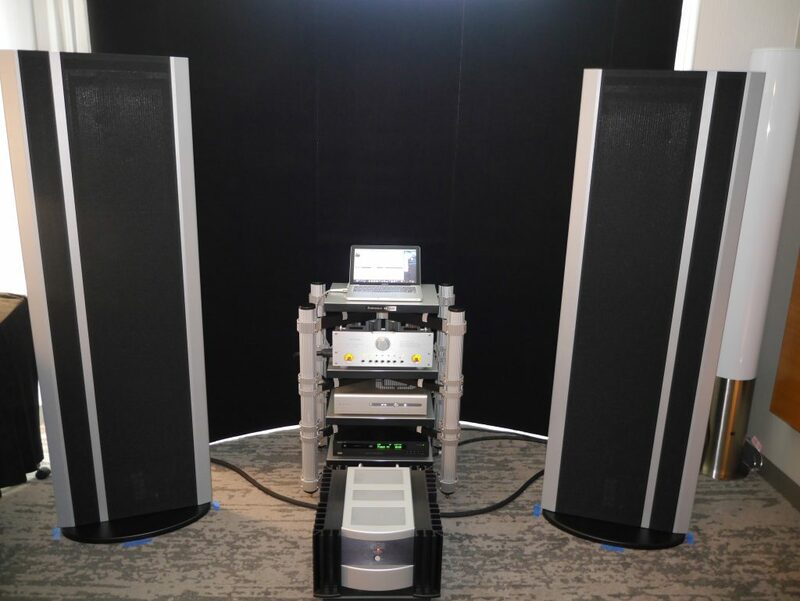 Showing off a new pair of Magnepan 3.7i loudspeakers, Levinson amplifier, and Allnic Audio tube preamp, the Silnote Audio system wired with Silnote Audio cables delivered hard hitting transients with stunning, see through transparency,oodles of air, and fine focus. Musicality was simply first rate. "Apple Macbook Pro with Signalist HQPlayer software, LampizatOr Reference Level 4 DAC, Jadis DA-60 Reference Integrated Amplifier, Silnote Audio Cables, and B&W 802 Speakers. The Silnote room always improves considerably year after year. A late arrival to the room on Sunday was a pair of the new Sonus Faber Il Cremonese Speakers, which perked up the system nicely." "As I mentioned earlier, Doug Schroeder and I agreed that one room in particular stood out for its extraordinary sound, sound that owed no small part to the extraordinary cables used to configure the system: the Silnote room. 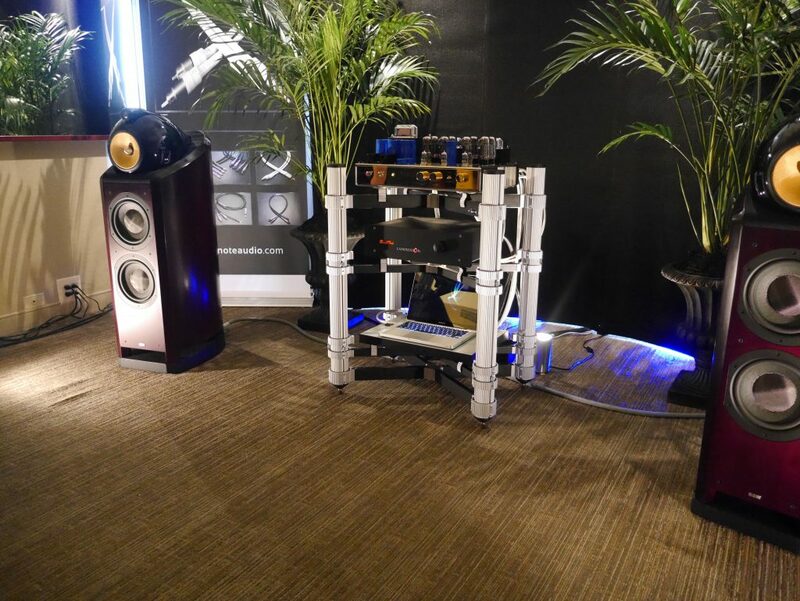 The system that Silnote's approachable proprietor and chief designer put together, seriously seduced my tired ears for a second year in a row. Their delicious system came within shouting distance of winning my "best sound at the show" designation. Look for a review over the next several months. Oh, and my deepest apologies to the Silnote team in advance, but I was so taken by the exhibit and the great sound coming from this room that I forgot to take photos. See us at the upcoming AXPONA audio show in Chicago. 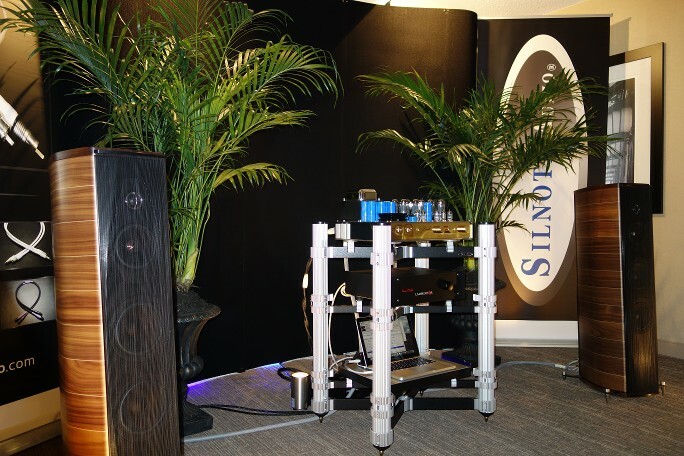 Silnote Audio will introduce new cable models and have several models available for sale at the show. Join us for a fun filled weekend. AXPONA Show date: Westin O'Hare , Chicago - April 24-26, 2015.